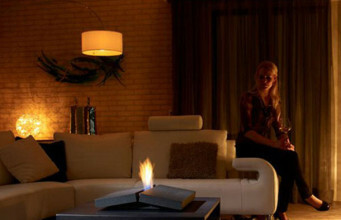 Functionality and warmth of the hearth. 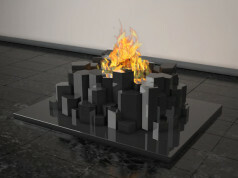 “Officine del Fuoco” offers Gor bio fireplace – combination of an ecological free standing fireplace and a coffee table. There is nothing more pleasant than aroma of a morning coffee combined with elegance and chic of simple shape. The idea of Italian “Officine del Fuoco” gave this place, where everyday meetings take place, a new dimension. Ceremony was enriched with pleasant view of a burning fire. 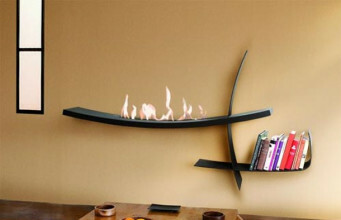 Free standing bio fireplace was designed in combination with a piece of furniture, used to drink coffee. 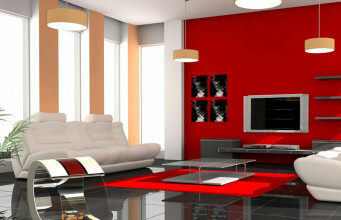 Simplicity, universal colour and minimalistic form of a little table would not dominate our interiors. Lump, decorated with thin, metal bars, on which the device is standing, was enriched with bio fireplace burner, placed on the top. 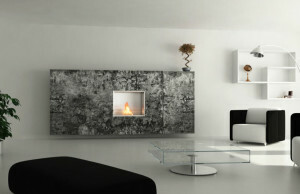 Subtle fire softens the heavy form of furniture and creates magical atmosphere in a place of everyday relaxation. 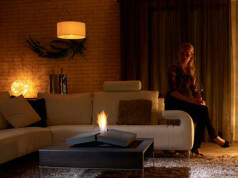 Bio fireplace, embedded in the table top, does not produce unpleasant smell, unlike traditional devices. 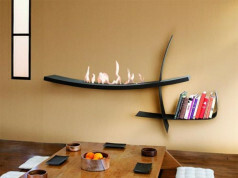 Powered with smokeless fuel – ethyl alcohol, does not leave any ash. 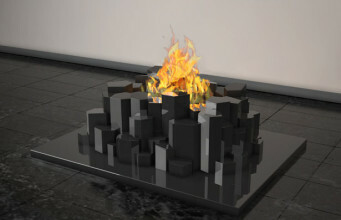 Implementation of such an interesting design was possible, because ecological bio fireplaces do not need any chimney-ventilation system. 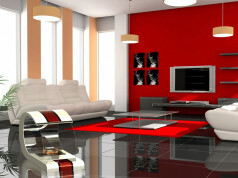 Therefore, we can move and install it in functional places. 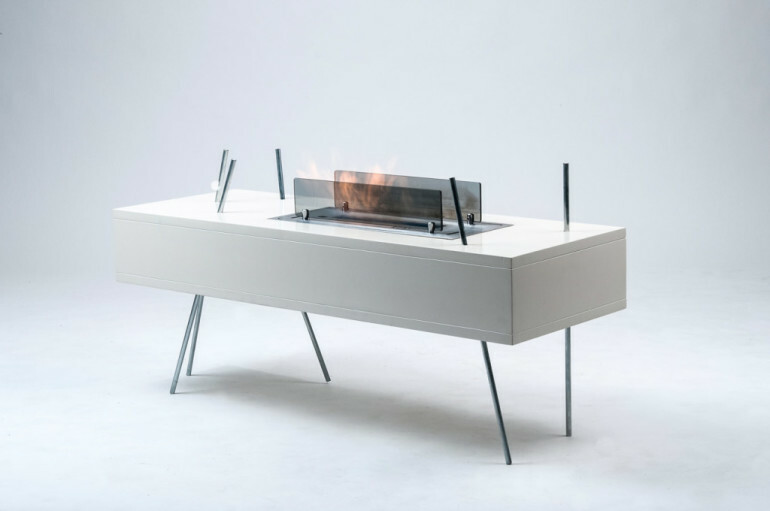 Using the piece of furniture, which is a source of warmth at the same time, facilitates using saved space for other fascinating arrangements. The product has TUV safety certificate.